As a principle-centered person you try to stand apart from the emotion of the situation and from other factors that would act on you, and evaluate the options. 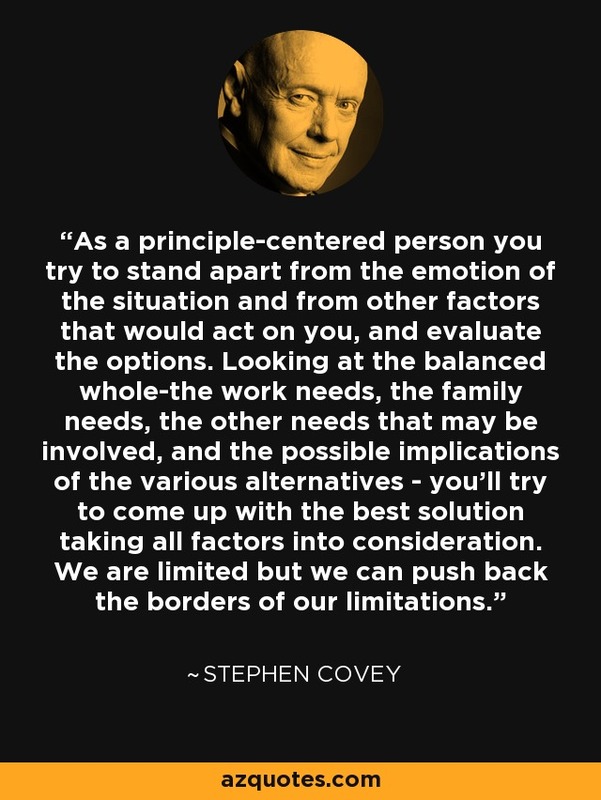 Looking at the balanced whole-the work needs, the family needs, the other needs that may be involved, and the possible implications of the various alternatives - you'll try to come up with the best solution taking all factors into consideration. We are limited but we can push back the borders of our limitations.